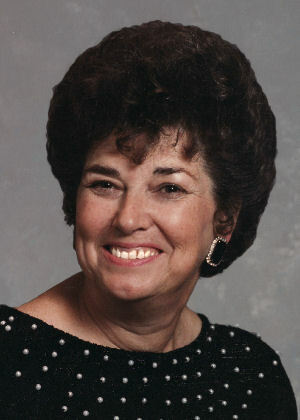 Sandra Gale Haas, 72, of Lemon Grove, passed away on January 23, 2008 following a brief illness. Born May 4, 1935 in Laurel, Mississippi, Sandra moved to Southern California with her mother at the age of six, was graduated from Gardena High School in 1953 and attended both El Camino Community College and California State University at Long Beach. While employed at Bethlehem Steel, she married, settled in Torrance, became a homemaker and raised three sons. She was an engaged and active part of all aspects of their lives, whether it was as president of the local PTA, ‘œteam mom’ to their Little League and football teams, or member of the booster club for the high school band and drill team. ‘œBeing involved’ was the joy of her life . . . she could usually be found having more fun than the kids! In the mid-70s, she was stricken with breast cancer, suffering through surgery, radiation and chemotherapy ‘“ and she not only survived, but thrived, reentering the workforce as an administrative assistant at Bethlehem Steel Shipyards in Long Beach and later Betz Chemical, Inc. in Torrance and Huntington Beach. In 1996, she realized her dream of ‘œretiring’ to San Diego, moving to Lemon Grove. She instantly adopted the hometown Padres, forsaking forever her previous allegiance to the L.A. Dodgers. A year later she discovered the Madres, a non-profit organization that raised money to support youth baseball leagues. For the next 11 years, until the day of her passing, much of her time and energy was devoted to this organization and its mission, raising and proving tens of thousands of dollars a year to youth leagues from Oceanside to SanYsidro. But Sandra’s greatest love remained her family. Surviving her are her three sons; Mikel, of San Diego; Jeffry of Menifee, CA; and Donald of Long Beach, CA. She is also survived by her four grandchildren, Cohri, Meghan, Jaymes and Morgan, and her sister, Jan Hubbard, of Laurel, MS. Donations in her name may be made to the San Diego Madres, Inc, P.O. Box 600113, San Diego, CA, 92160. We are so sorry to hear of your mother’s passing. We had no idea she was so ill or we would have been in touch sooner. She will always be remembered in our hearts as a key part of our Torrance neighborhood. We was always the ever-smiling next-door neighbor who passed whatever she was baking over the fence to us on the “neighbor Plate’. We would always return the plate with a sample of Sherry’s next baking efforts. It was a blessing to raise our two boys next door to someone who understood them, as she had raised her own boys. One time when they were quite young Charlie and Tim splattered the side of her house with mud during a fight, and I had them cleaning it off with a hose and push broom. We were in the middle of this effort when she drove up. She just walked around the side of the house and stopped to look, laughed, and said something like “Looks like someone had a lot of fun” and went in the house. Perfect neighbor if your have boys to raise. I know this is late, but our hearts and prayers are with you and her. Donald, stop by for a root beer next time you are in the neighborhood.